There are several important aspects of making a hardwood flooring decision that you should consider prior to making your purchase. You want to make a decision void of buyer’s remorse and be prepared for the process of flooring installation. Consider the following recommendations and tips prior to purchasing your new floor. Ask a friend or acquaintance who has previously installed the type of flooring you’re considering for a review of their experience with the product. Identifying potential drawbacks is an important aspect of choosing the best flooring product for your home. If you don’t know of anyone that has personal experience with that type of flooring in their home, ask a seasoned professional for their advice. Our staff are more than willing to provide you with the pros and cons of various types of flooring so that you can find the best fit for you and your family. China cabinets will need to be emptied, items on the closet floors will need to be packed up, and furniture will need to be moved to another room or area of the house. If total upheaval of an area of your home is not practical at this point in time, you’ll want to schedule your flooring replacement during a time that your schedule is relatively quiet or during a time when you’re not entertaining company or hosting an event. You need to plan for the installment of your new flooring, and you will also need to allow time for removal of your old flooring. If you choose to do this step yourself, make sure you leave 1 day before your install project is scheduled to be done. If you’re ripping out old carpet, leave the tack strips but pull out the staples. Our professional team will remove moldings and baseboards for some small additional fees. However, do note that installers are not responsible for breakage. When these baseboards or moldings are put back into place, costs and labor for any retouching that needs to be done is the client’s responsibility. When the flooring is removed, you may find that your sub flooring needs to be replaced or prepared. Your sub floor is a crucial part of your flooring installation, and it has the potential to literally “make or break” your new floor. Adequately preparing or replacing the sub floor is a job best left to the professionals. If you don’t know what’s going on under your floorboards, it would behoove you to take a look and get a professional opinion of the service it may require. After installing new flooring, you may find that your doors are no longer able to clear the floor or swing freely. This usually occurs when old hardwood floors are replaced with new, thicker wood. The addition of a few centimeters can cause a couple or all of the doors to catch on or scrape across the floor. Installers can remove the doors and re-hang them for an additional cost. Or, arrange for a qualified carpenter to shave or cut the doors down to the proper clearance level. As with all flooring jobs, waste will be produced. The collected waste can be disposed of by the installers at an additional cost. You will either want to factor these extra expenses into your cost figures or plan ahead and arrange a way to dispose of the waste yourself. We request that you be home and available on installation day. Your physical presence ensures that the right wood will be installed in the right rooms and areas of the home. Also, be ready and willing to answer any questions from your professional installers. Many of the tools and techniques that installers use can be dangerous. Make sure that children and pets stay away from all work areas. Children should wear shoes at all times. After installation day you will want good ventilation through your home and especially through the rooms and areas of your home where the flooring was replaced. This ventilation should continue for a good 48-72 hours after the installation is complete. 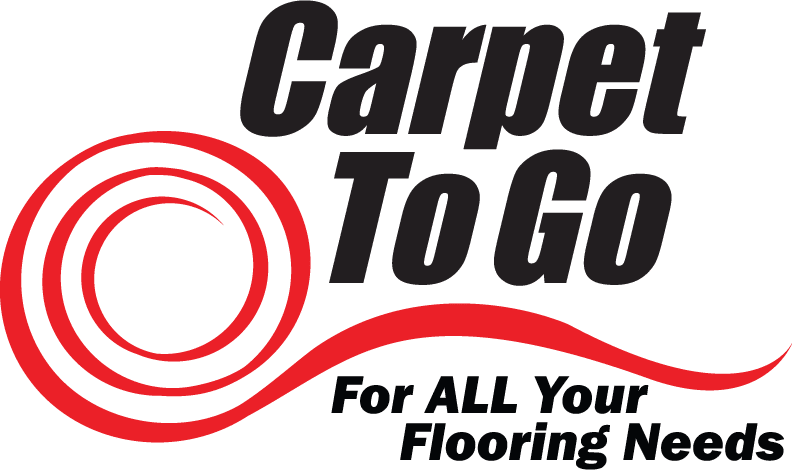 At Carpet To Go, we are committed to providing excellent, professional service to our clients. We want you to be more than pleased with your new flooring install, and we would be more than willing to answer any questions that you may have regarding types of hardwood flooring or installation procedures. Feel free to contact us or request a free quote!